Caramel tofu - that sounds like a somewhat unappetizing vegan dessert doesn't it? It's a savory dish, actually, with roots in Vietnamese cooking. I had clipped a recipe for caramel chicken a long time ago. It hung from a fridge magnet for years before I tossed it in a recipe purge, untried. When I spotted the recipe for Panfried Tofu with Asian Caramel Sauce in the April '07 issue of Gourmet, I decided I would actually give this one a chance to dazzle me. The most intimidating thing about the recipe was making the caramel. A friend of mine ruined a couple of pots making caramel for a cake icing, and I didn't want to end up doing the same. But I have crappy cheap pots, so no harm done if I ruined a couple. The rest of the sauce was too easy - toss in the aromatics, then the liquid, and thicken with cornstarch. Really very simple. After the caramel turned out so well, I realized that slicing the shallots and enduring the resulting tears was really the hardest part of the recipe. However, I cheated - I only cut up 1.5 large shallots for use in the sauce. Forget the crisp frying! I'm going to stink up my kitchen and waste a bag of shallots to make a garnish? Not when I have a bag of Haldiram's Crisp Fried Onions (rather like Durkee's onions, but more rustic) in my pantry! 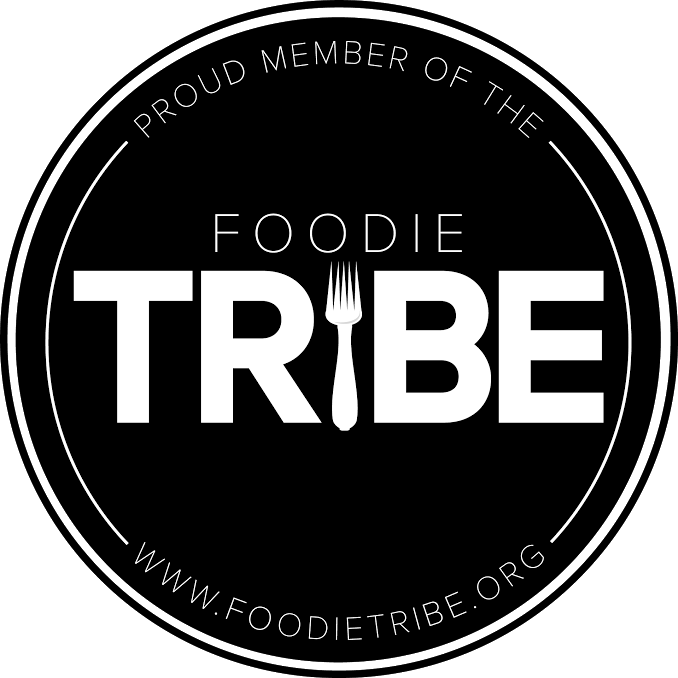 Was I amazed and dazzled at the remarkable flavors of the Asian caramel sauce? Not really. It wasn't exactly what I expected. It wasn't too sweet, and despite the load of garlic and shallots, not very savory. And notice that the recipe did not call for a major ingredient in Vietnamese cooking - fish sauce (I added some anyway). In addition, it made a ton of sauce...far more than needed for a single block of tofu. Last night, DH fried up some onions and chicken thighs and added the rest of the caramel sauce. So we ended up eating Caramel Chicken after all. 1. 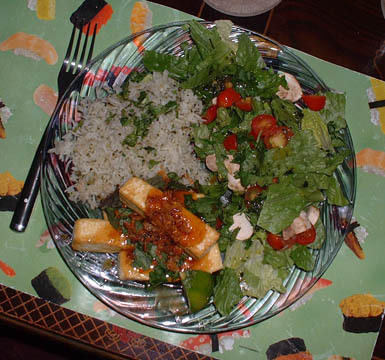 Halve tofu crosswise, then cut lengthwise into fourths to form 8 slices. Put tofu slices between several layers of paper towels to drain, replacing towels as needed, until ready to use. 2. Finely chop enough shallots to measure 1/2 cup and reserve. Cut remaining shallots crosswise into 1/8-inch-thick slices and separate into rings. Heat oil in a 10-inch heavy skillet (preferably cast-iron) over moderately high heat until hot but not smoking, then fry sliced shallots in 2 batches, stirring occasionally, until golden brown, 1 1/2 to 3 minutes per batch (watch closely, as shallots can burn easily). Quickly transfer shallots as fried with a slotted spoon to paper towels to drain. Pour off all but 1 tablespoon oil from skillet and reserve skillet. 3. 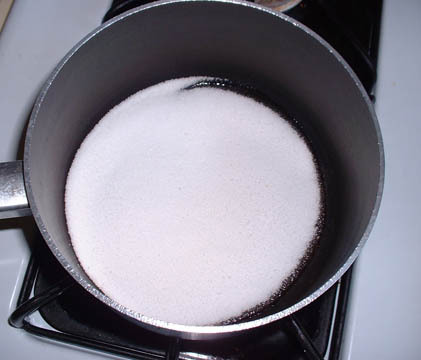 Make sauce: Cook sugar in a dry 1- to 1 1/2-quart heavy saucepan over moderate heat, undisturbed, until it melts around edges and begins to turn golden, then continue to cook, stirring, until all of sugar is melted and turns a golden caramel. Add reserved chopped shallots (use caution; caramel will bubble up and steam vigorously) and cook, stirring, until shallots shrink and are very fragrant, about 45 seconds. Add garlic and ginger and cook, stirring, 30 seconds. 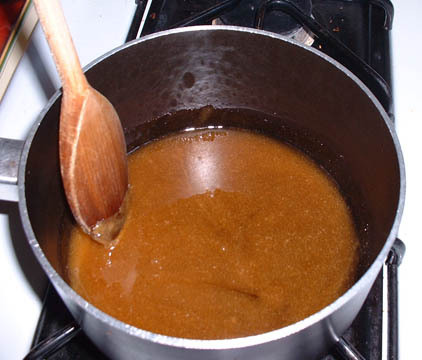 Stir in soy sauce, vinegar, and 1 1/3 cups water and simmer, stirring, until any hardened caramel is dissolved, about 1 minute. Stir together cornstarch and remaining 2 tablespoons water until smooth, then stir into sauce and simmer, stirring occasionally, 2 minutes. Remove from heat and keep warm, covered. 4. Heat oil remaining in skillet over high heat until hot but not smoking. Meanwhile, blot any excess moisture remaining on tofu with paper towels, then add to hot oil in skillet in 1 layer. Fry tofu, turning over once, until golden and crisp, 7 to 10 minutes total. Transfer to clean paper towels to drain briefly. Reheat sauce, then serve tofu topped with sauce, basil, mint, and fried shallots. 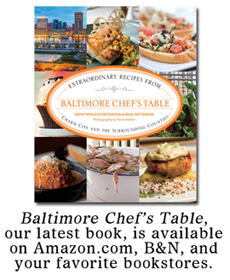 • Sauce can be made 1 day ahead and chilled, uncovered, until completely cooled, then covered. Reheat sauce over moderately low heat, thinning it with additional water if necessary. • Shallots can be fried 1 day ahead and cooled completely, uncovered, then kept at room temperature in an airtight container lined with paper towels.